High blood pressure or hypertension as it is medically known is known as the ‘silent killer’ because people with high blood pressure rarely know they have it. This does not mean that just because they have knowledge of the problem that it isn’t doing them harm. High blood pressure is a major contributing factor in heart attacks and strokes. As a general rule the higher your blood pressure is the higher your chance of a significant cardiac event like a stroke. 30% of adults and 50% of those over 65 years of age in the UK have high blood pressure and of those 90% of those people have no medical cause for the problem. This type of high blood pressure is called “essential hypertension”. What this means is that most people with high blood pressure need to change their lifestyle and they can almost always find their blood pressure will decrease. The great news is that hypnotherapy is an ideal tool to tackle most if not all of the causes of non-medical hypertension. 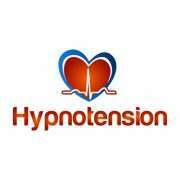 To mark World Hypertension Day Focused Hypnosis are offering a hypertension consultation at half price, that is just £35. During this session you could get a deeper insight into how you could change your lifestyle factors which could increase your chances of reducing your blood pressure in a safe and natural way. What issues can hypnotherapy address that could reduce blood pressure? Ethnic origin. Those from a Pakistani, Sri Lankan and Bangladeshi backgrounds, among others, are at increased risk. Early onset of menopause in women. Age. The older you get the more likely you will have high blood pressure. What can you do to tackle high blood pressure? If you go to the doctors and they diagnose you with essential hypertension it is likely that they will prescribe medication to help manage your hypertension. The problem these medications, if started, have to be taken for the rest of your life. In many cases two or three different medications have to be taken to control the symptoms. With these medications come the potential of side effects and with more medications comes the chance of more side effects. This means that many people are reluctant to go down the medication route. The other alternative to medication for hypertension is hypnotherapy. To discuss how hypnotherapy could help you reduce your blood pressure call Focused Hypnosis on 0114 383 0123.